Streaming media is a type of a live broadcast. Live broadcast includes live radio, live television, Internet radio and television, live blogging and streaming media. With streaming media user constantly receives content through the Internet from the streaming provider. Verb ‘to stream’ here characterizes the process and the method of a content delivery. Streaming media is the video and audio content that is received constantly. The main advantage and main idea of the streaming media is that a client media player, given by a provider, can start playing a data (video or audio content) before the whole file will be transmitted. Opposite to usual load of a data with video or audio content, streaming video gives a lot of advantages. 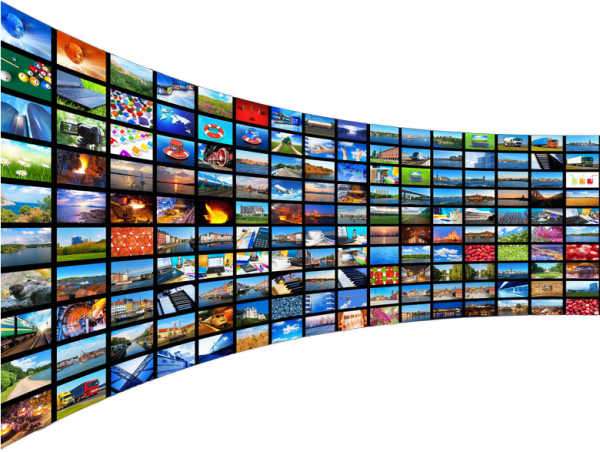 Streaming media saves time that usually user spends on loading of the whole file (video or audio content). Streaming is useful when user doesn’t need to watch (or listen) the whole data file (for example when user continue watching film, or watching education programs). Another example is when user wants to get acquainted with content before deciding whether or not to watch it whole. In all these cases streaming media gives a lot of advantages. One of forms of the streaming media is the live streaming. Live streaming is a video or content delivered live through the Internet. To make it possible, the system needs to have constituents of a construction – a form of source media, media publisher, encoder and CDN (Content delivery network). The source media can be created by a video camera, screen capture software, audio interface or other devices. Encoder helps to digitize the content, than media publisher makes it readable for users. CDNs deliver and distribute the video or audio content. The other thing that is frequently connected with a streaming media is a webcast. Webcast is a media presentation, which is distributed with a use of technology of streaming media. The webcast system distributes and delivers one content source to many listeners or viewers at the same time (it goes synchronously). Webcast is equally common in live distribution or VOD (video on demand) delivery. This technology is very popular for Internet radio stations (especially for independent – many of them use only webcast instead of usual broadcast), investors presentations, e-learning and a lot of independent media. Existing television and radio stations now days simulcast their content through the webcast. It makes possible to organize seminars online (e-learning). Commercial sector uses broadcast to organize investor relations presentations (for example annual general meetings). Another system of distributing content is podcasting. It strongly differs from a webcast which goes with a live streaming while podcasting is only working with files that are already placed on the Internet. Usually podcasting works with a certain topics and have a frequency of publication. Streaming media now days is a very important part of the market and it is important for business to work with it. CDNsun successfully works with live events streaming and can help to implement it in your business.